Color/Appearance: Heartwood ranges from yellow to a medium orangish brown. 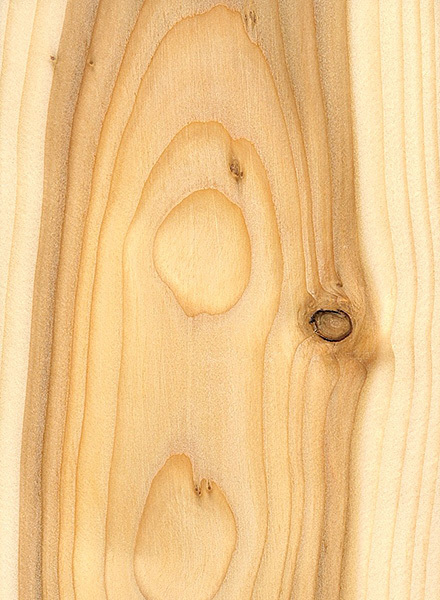 Narrow sapwood is nearly white and is clearly demarcated from the heartwood. 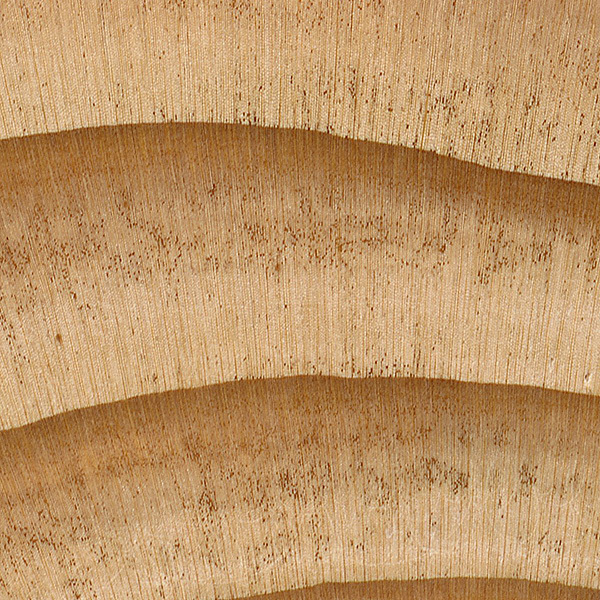 Flatsawn sections can exhibit a lot of character and interesting patterns in the growth rings. Knots are common but are usually small. 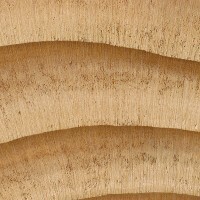 Grain/Texture: Grain is generally straight or spiraled. Texture is medium to fine with a greasy or oily feel. Rot Resistance: Moderately durable regarding decay resistance. Workability: Most hand and machine operations produce good results. However, Tamarack is high in silica content and will blunt cutting edges. Also, because of the disparity between the soft earlywood and the hard latewood, sanding can create dips and uneven surfaces. Allergies/Toxicity: Although severe reactions are quite uncommon, wood species in the Larix genus have been reported to cause skin irritation, as well as hives and skin lesions. See the articles Wood Allergies and Toxicity and Wood Dust Safety for more information. 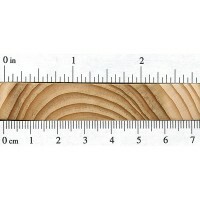 Pricing/Availability: Lumber production of Tamarack is very small, and wood is very seldom available commercially. Expect prices to be moderate. 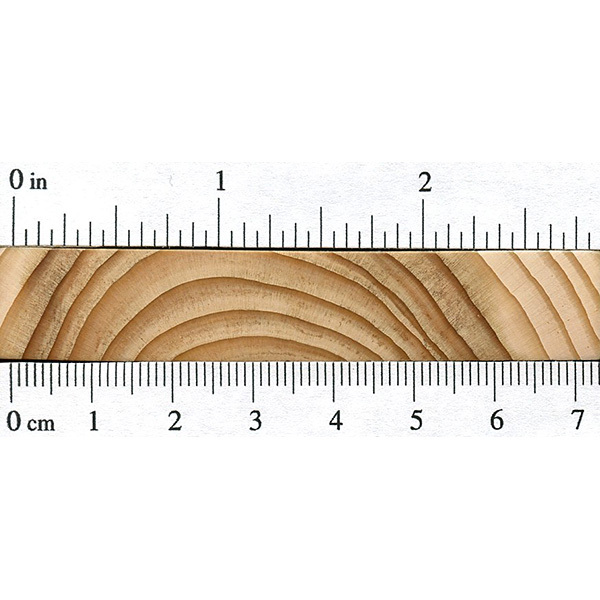 Common Uses: Snowshoes, utility poles, posts, rough lumber, boxes/crates, and paper (pulpwood). I heard that Eastern Larch had very good rot resistance, but wasn’t bug resistant. Is this just a wive’s tale or what? I was told like it’s cell structure resists water and it could be left in the ground as a post. Makes sense as it’s a swamp tree. How rot resistant is “moderately” in comparison to something like new growth EWP in terms of years in the ground or something like that.